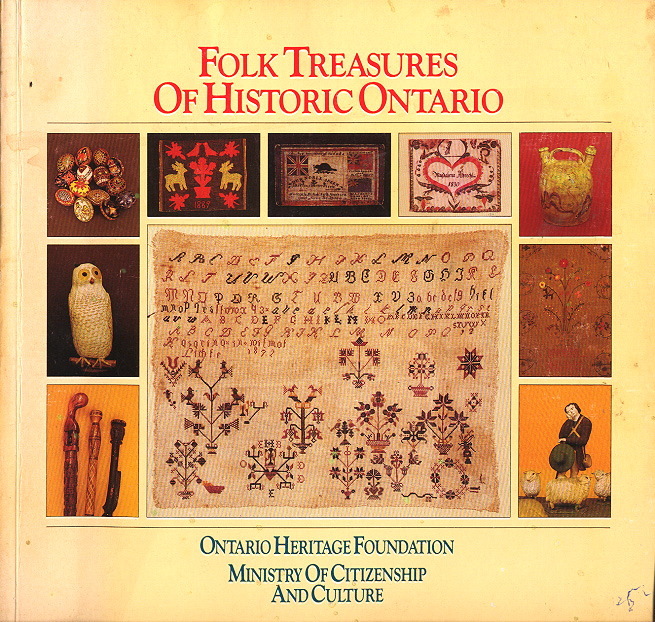 Folk Treasures of Historic Ontario - Ontario Heritage Foundation, Ministry of Citizenship and Culture. Written by Terry Kobayashi, Michael Bird, and Elizabeth Price. ISBN 0-7743-9876-0. Copyright 1985. 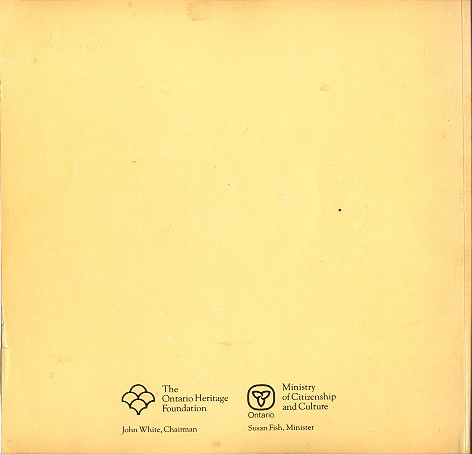 129 page catalouge for the exhibition of the same name which toured to 8 Ontario galleries at that time. 15 pages of intro, and essay and then 110 pages of illustrations and descriptions of, as the title suggests folk treasures. Many colour plates. In good shape but cover a bit marked. One copy only.